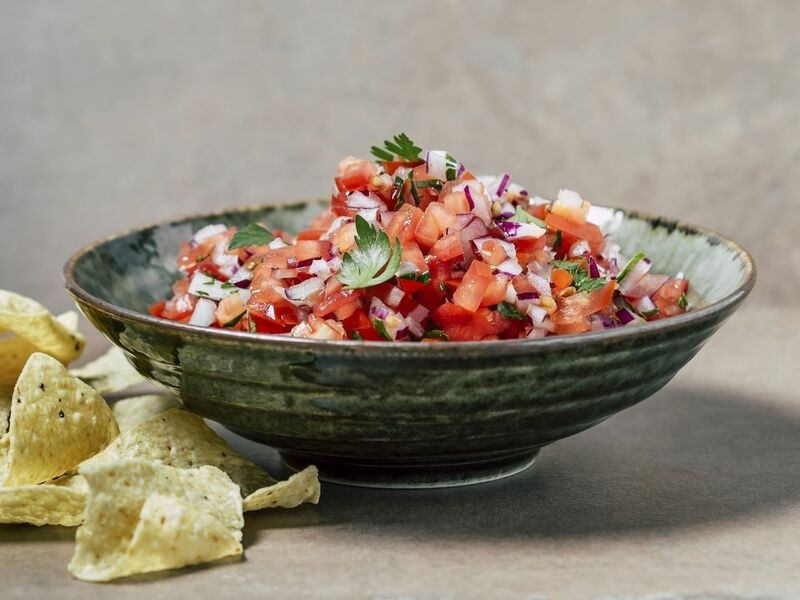 Nothing combines the fresh, summer flavors of the vegetable garden like homemade salsa, a peppy, Mexican-style sauce of chopped or pureed vegetables, often marinated in lime juice. Salsa is as refreshing as it is easy to grow and make. You probably already grow some of the ingredients in your garden, like peppers and tomatoes. You don't need a lot of space for a salsa garden; you could even grow your ingredients in containers. However since the beauty of homemade salsa is its freshness, you'll want to devote enough space for multiple plants, to keep your harvest coming. And you will have to be patient; most of these ingredients are not ready to pick until at least mid-summer. Pick a sunny spot, for planting, and fill your salsa garden with the ingredients listed below. Suggestions for the number of plants to grow, both in the ground and in containers, is provided and you'll find links to specific growing instructions for each vegetable. Tomatoes are the backbone of a great salsa. Choose a meaty variety, like a beefsteak or a Roma. Cherry tomatoes are also a good option, especially if you are growing your tomato plants in a container. Tomato plants can grow very large. They will need a minimum of 2 sq. ft. per plant in your garden or 1 plant per container. 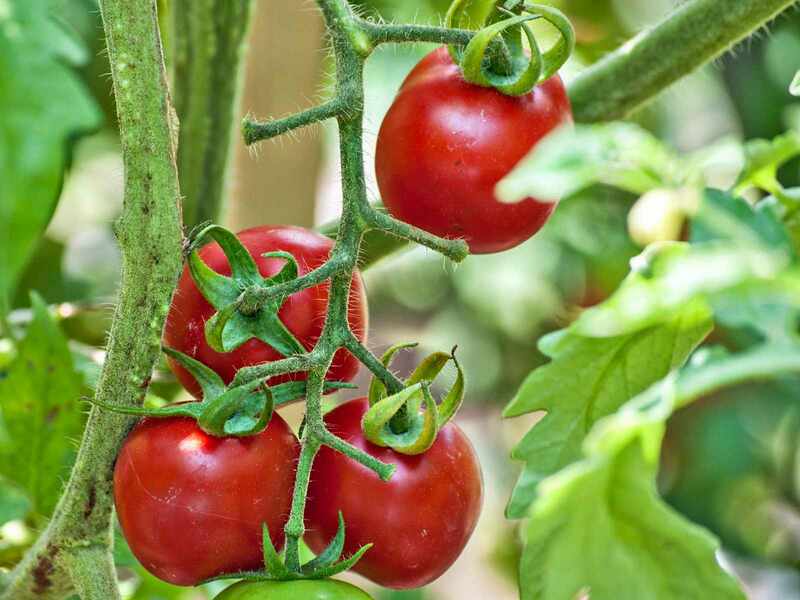 For your salsa garden, 3 tomato plants should keep you going all summer, if you don't eat them right off the vine first. Hot peppers are what give salsa its kick. The most popular chile pepper to use is the Jalapeno. These are some of the easiest peppers to grow and each plant will produce over a dozen peppers. However don't be afraid to add even more punch with serrano or cayenne peppers or even hotter. If heat is not your thing, you can still enjoy homemade sauce by growing sweet peppers in your salsa garden. There is no rule that salsa much be searing. You'll need 3 - 5 pepper plants, depending on how spicy you like your salsa. Hot peppers tend to produce more fruits, but sweet peppers are usually larger in size. Along with chile peppers, diced onions give salsa its zest. A mildly sweet red onion adds a nice balance of flavors, but any onion will do. In fact, you could substitute either scallions or shallots, if you prefer a slightly milder kick. Since onions do not regrow once harvested, you'll need quite a few plants to span the season; one for each batch of salsa you make. Luckily onions keep a long time in storage. Plan for at least 20- 30. Scallion, or green onions, may re-sprout and could also be succession planted, to give you a longer season of harvest. The herb that gives salsa its distinct Mexican flavor is cilantro. Cilantro grows best in cool weather and can quickly bolt to seed when the temperature climbs. It is not the easiest herb to grow in the hot, summer garden. When the temperature soars, you may have better luck growing cilantro indoors. However try succession planting it every couple of weeks outdoors, in a shady spot of the garden, and keep it well watered. You can also try starting the seed indoors, where it's cooler, and then transplanting it into the garden. Start off with at least 2 cilantro plants. Although the plants will re-sprout, they will eventually go to seed, so you will need to keep re-planting and replacing them. Garlic is an optional ingredient, but if you're a garlic lover, you'll appreciate what it adds to your salsa. As with onions, garlic won't regrow, once you harvest the plant. However you won't use as much garlic as you will onions and you won't a garlic plant for each batch of salsa you make; but figure a minimum of 8 - 10 plants. Garlic can be stored for several months. Garlic chives make a nice, milder alternative to chopped garlic and chive plants readily re-sprout, so you will need far fewer plants, only 2 or 3. You can also use garlic scapes, in mid-summer, while you're waiting for your garlic to mature. Tomatillos look like small tomatoes in papery husks, but they have an entirely different sweet-tart flavor that makes them a nice twist in salsa, instead of tomatoes. Tomatillos are more closely related to cape gooseberries and ground cherries and can be green, purple, or golden. You'll need 2 plants for cross pollination and those two plants should provide you with all the tomatillos you will need. They tend to self-sow, if any are left in the garden, and return again next year. If you are grrowing your tomatillos in containers, give each plant its own pot. These are large branching plants. And here's some help, if you are unfamiliar with cleaning and preparing tomatillos. These are the basic ingredients for your salsa, but you can build on them to suit your taste. Popular additions to grow in your salsa garden include: corn, zucchini, and all kinds of fruits, from pineapples to peaches. Here are a few quick and easy recipes, to get you started.